We’d love your help. Let us know what’s wrong with this preview of Dog Eat Dog by Niq Mhlongo. To ask other readers questions about Dog Eat Dog, please sign up. what are the themes found on the novel? This book was a chance find in a charity shop ('thrift shop'), and is worth far more than 5 stars! Dingz has attitude and chutzpah, but this won’t help him get a bursary to help pay for his studies at Wits (the University of Witwatersrand) despite coming f This book was a chance find in a charity shop ('thrift shop'), and is worth far more than 5 stars! Dog Eat Dog is a riotous account of the lives of Dingz and his friends, mostly all students from the black townships. Mhlongo paints a vivid picture of the ups and downs of their hectic existence, which, though exciting, is always fraught with danger. In the recounting of this entertaining tale, the author deals with a number of important topical matters relating to South Africa, sometimes with a quite original outlook. Can so many decades (centuries?) of racial prejudice evaporate over night? Not likely is the answer that pervades Mhlongo’s novel. When the white professor is giving a lecture to his multi-racial audience, Dingz muses that, “…these white lecturers didn’t know their black students by name, and that was why they often said ‘yes’ when asking them to respond to a question. As for the white students, the white professors always addressed them politely by their full names.” When Dingz encounters racism, he always fights back effectively and counters it humorously, often gaining benefit from what was supposed to hurt him. I hope that these excerpts help give a little of the flavour of this colourfully written vibrant story, and will make you seek it out in your bookshops, libraries, etc. I first came across "Dog Eat Dog" 6 years ago and wasn't very taken by it. The story of Dingz was not unique and was a lived experience for most black tertiary students. We've had his struggles. Countless times many of us, my generation, stood in snaking queues with a begging bowl at the student aid offices desperate for money to study while our white counterparts were not only attending lectures already, but had driven to campus in cars their parents had gifted them. My first year at tech, I ph I first came across "Dog Eat Dog" 6 years ago and wasn't very taken by it. The story of Dingz was not unique and was a lived experience for most black tertiary students. We've had his struggles. Countless times many of us, my generation, stood in snaking queues with a begging bowl at the student aid offices desperate for money to study while our white counterparts were not only attending lectures already, but had driven to campus in cars their parents had gifted them. My first year at tech, I photocopied text books, lived on Chelsea buns, walked from Auckland Park to Kort street in the afternoons or Bree street to Bunting road in the mornibgs. I was just happy to be studying. I was in the RAG Committee, attending imbizos at the Rag farm and crushing with friends at Horizon or Panorama residences when I had evening classes or committee meetings which went into the night. 24 years later, I am outraged. Outraged that the black child, practically our children, (us born in the 70's), still experience this institutionalized racism. This deliberate act to exclude them from developing and growing into balanced young adults fit and healthy enough to create and sustain their economic well-being. In 1993-1995, I was okay struggling as a student but to have our children face the same struggles in 2017 is atrocious. "Dog Eat Dog" is more than the misadventures of Dingz. It's an indictment on us, the voters in the 1st democratic elections in S.A., on how we have let our children down by not calling the ruling power to account. "Dog Eat Dog" + #FeesMustFall. Poverty is a dream snatcher and should never be glorified. Building yourself up from adversity is commendable but can we stop being the "Phoenix which rose from the ashes". I too want my grandkids to have trust funds because my children didn't have to start from the bottom of the sewerage-filled pit. Niq narrates the adventures of Dingz in a humorous and relatable way. Dingz is a guy's guy from the township. Any township in S.A.He could've been from Umlazi, Kwa-Mashu, Mamelodi. I travelled with him from Orlando West to Braamfontein. I could visualize the YMCA and all the shops along Jorissen street. I saw him pass out in class but the Home Affairs shenanigans to secure a death certificate, were classic. I would like so much to hear about him, 24 years later. A sequel is LONG overdue😉😉. It is a book about life in the townships and what people have to do to survive. At some point Dingz asks himself “How does Zulu sound to God?” and after his reflections he is “… convinced that God was White, and either English or Afrikaans, simply because it had taken Him so many years to translate exactly what the blacks and poor wanted in their endless prayers. It took God almost a century to bring about the end of apartheid and its package of injustice and to usher in the long-awaited freedom." Witty and certainly reflecting Johannesburg, township life and realities of entering these institutions of higher learning that were not designed for the African --- and a witty perspective on how to ride the system. It's 1994 and the first democratic election takes place in South Africa. Dingamanzi Njomane has plenty on his mind. As a first year student at Wits University, he is trying to sort our accommodation and bursary issues, and find money to drink with his friends, Thembs, Dworkin, Babes and Theks. Dings is a colourful character. He is feisty and not afraid to challenge authority and work the system. Mhlongo does a good job of allowing the reader insight into many aspects of the 19 year old's life. T It's 1994 and the first democratic election takes place in South Africa. Dingamanzi Njomane has plenty on his mind. As a first year student at Wits University, he is trying to sort our accommodation and bursary issues, and find money to drink with his friends, Thembs, Dworkin, Babes and Theks. Dings is a colourful character. He is feisty and not afraid to challenge authority and work the system. Mhlongo does a good job of allowing the reader insight into many aspects of the 19 year old's life. The bullying tactics of taxi drivers and their marshalls, township life, living conditions of those on the poverty line, and the desire to party and get lucky with the ladies are all dealt with with a fresh frankness as the protagonist's experiences are recounted. A humorous and raucous story about a black college student in post apartheid South Africa trying to make his way through college during a very turbulent time in South Africa's history. Dog Eat Dog similar to Urban Lit in the USA in that it follows an impoverished youth through the underbelly of society (the townships in this case), but different because it follows the student as he tries to get ahead at school in anyway possible. Though I felt the book was good, though not great, I will note tha A humorous and raucous story about a black college student in post apartheid South Africa trying to make his way through college during a very turbulent time in South Africa's history. Dog Eat Dog similar to Urban Lit in the USA in that it follows an impoverished youth through the underbelly of society (the townships in this case), but different because it follows the student as he tries to get ahead at school in anyway possible. This is another take on post-apartheid South Africa. The main protagonist is an early black student at Wits in the post-apartheid years. It gives a sense of the travails and life of these students. The themes of township life, STDs, and race relations in the new democracy are present. It's well written and readable and a more accessible first intro to black South African writers than Mpe. Very interesting, because I have so many friends who went through similar experiences. Nice writing. Interesting characters. This is a character driven book which really was different for me but I thoroughly enjoyed it. Quick read! I really enjoyed the authors style as it they were able to provide a clear lense throughout the story. If you wish to have an idea about what life is like in a South African township, this is the book for you. 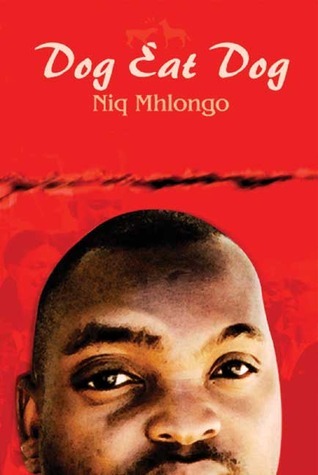 Dog Eats Dog is set in 1994, the year that the first democratic elections took place in South Africa, and is the story of Dingz and his friends, as they come to grips with the new reality. Many of the issues raise in the book are timeless and world-wide - friendships, family, sexual encounters and making your way in the world. Others are very South African - racism, apartheid, AIDs, buildin If you wish to have an idea about what life is like in a South African township, this is the book for you. 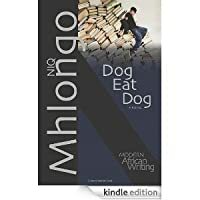 Dog Eats Dog is set in 1994, the year that the first democratic elections took place in South Africa, and is the story of Dingz and his friends, as they come to grips with the new reality. Many of the issues raise in the book are timeless and world-wide - friendships, family, sexual encounters and making your way in the world. Others are very South African - racism, apartheid, AIDs, building a new society. But these issues have a wider resonance because they are not specific to South Africa - even apartheid. The real theme of this book is the relationships between people. This was published in 2004, but it is set in 1994, year of South Africa's first democratic election - and here I was reading it in 2014, twenty years on, just after our fifth democratic election. Soweto, Braamfontein, Wits University campus, that first election, a taxi ride, a train journey, parties and pick-ups, lectures and exams - an unpretentious reflection of the everyday life of a 19-year-old first year student. That student is Dingz, finding creative ways around obstacles, dealing with an This was published in 2004, but it is set in 1994, year of South Africa's first democratic election - and here I was reading it in 2014, twenty years on, just after our fifth democratic election. Soweto, Braamfontein, Wits University campus, that first election, a taxi ride, a train journey, parties and pick-ups, lectures and exams - an unpretentious reflection of the everyday life of a 19-year-old first year student. Didn't know whether to give this book 1 or 2 stars. Ended up with 2 stars because it offers a realistic glimpse into a community that I otherwise would not have been able to enter. Have not come across many other novels that make the kwaito world accessible to a Northern European. And that's one of the things I love about literature; being transferred to other worlds and being able to view this world through someone else's eyes. Nice. Kwaito and college life. I remember it well, though at a different time. Realistic look at the life of a student. But this is not a nice character to follow. Would be better if there was something one could admire in the character. But he's just a bit of a slime-ball, really. Hard to identify with. Nevertheless, a good insight into an important part of life in post-democracy South Africa. Not great writing. Filled with stylistic problems, grammar weaknesses, etc. For those willing to look past stylistic and grammatical errors, this is a startlingly honest and vivid look at post-apartheid South Africa. The narrator, Dingz, is witty but ultimately unlikable. He is completely a product of his environment; of both the historical South Africa and the contemporary one. The strength of this novel is not in its story, or even in its characters, but in its setting and descriptions of place. A great read by Niq. A relevant read that raises key issues our country faced post apartheid. 20 years into Democracy, black students from all universities are always protesting for extra funding, many are still excluded due to financial reasons and the institutions have not transformed much. 20 years later, we have not produced black academics, and white males still dominates the industry. I just love how Niq describes his charecters. This is an insanely funny book set in Johannesburg and takes you into the underbelly of student life for some - arguably most - South African township youth. Niq Mhlongo, lays out township life without making it frilly and romanticizing it, just as it is. I read this too late and by mere chance, but glad I'm glad caught onto it. It was hard for me to enjoy this window into the new South Africa,set at the univ of Witwatersrand in 1994. The narrator drinks, lies, skips exams, cheats his family and does a variety of other unsavory things in the dog eat dog world he lives in. I enjoyed some of the descriptions, esp his train ride to Soweto where hawkers compete with preachers for the commuters' attention. Nice. Reminded me of my own experiences at Wits. Clever dialogue and lots of fun. Not a great character to become interested in, but lovely descriptions that ring true. Lots of life and energy and great urban lingo. It's an angsty, purely South African book from that oh so cool Kwaito generation. It takes place in Soweto, outside of Jo'berg. If you want to learn about township life in South Africa, read this. I'm a fan, but I can't really get enough Kwaito in my life! Interesting look at contemporary Joburg, but it's still a very badly written book. Mhlongo was born in Midway-Chiawelo, Soweto, the seventh of nine children, and raised in Soweto. His father, who died when Mhlongo was a teenager, worked as a post-office sweeper. Mhlongo was sent to Limpopo Province, the province his mother came from, to finish high school. Initially failing his matriculation exam in October 1990, Mhlongo completed his matric at Malenga High School in 1991. He Mhlongo was born in Midway-Chiawelo, Soweto, the seventh of nine children, and raised in Soweto. His father, who died when Mhlongo was a teenager, worked as a post-office sweeper. Mhlongo was sent to Limpopo Province, the province his mother came from, to finish high school. Initially failing his matriculation exam in October 1990, Mhlongo completed his matric at Malenga High School in 1991. He studied African literature and political studies at the University of the Witwatersrand, gaining a BA in 1996. In 1997 he enrolled to study law there, transferring to the University of Cape Town the following year. In 2000 he discontinued university study to write his first novel, Dog Eat Dog. He has been called, "one of the most high-spirited and irreverent new voices of South Africa's post-apartheid literary scene".